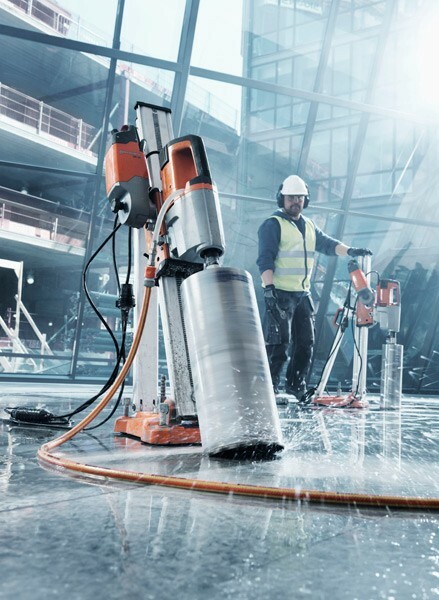 The controlled process of drilling, sawing, and cutting through concrete involves a high level of precision and the use of heavy machinery and tools. Skilled operators are hired by construction companies to make sure they can cut through concrete with their specialized machines and make their work easier. Gone are the days when the jack-hammer was used to break the concrete into pieces and then disposed of in a different place. Modern concrete cutters come with the finest of blades that can cut through any concrete surface with ease. What’s even more interesting is that they do not leave any dust or mess after the work is done. There are many concrete cutting companies in Melbourne that offer a variety of concrete cutting services. Here are some of the most common services you can expect and the benefits of using them. Often, there are requirements to drill perfect holes through concrete floors and walls. You just cannot take a hammer and chisel and start digging the hole, right? The diameter of the hole has to be measured, the position of the hole has to be checked, and then the drilling begins. Depending on whether it is a residential or a commercial project, the size of the hole may vary. Core holes are mostly used for heating, plumbing, and electrical purposes. They are also used for clothes dryers and venting furnaces. Specialized drilling machines are required in these cases to drill these holes. There are drills available for various sizes of holes. You will see the concrete cutter fitting allows for the drilling of various diameters into walls or on the floor. 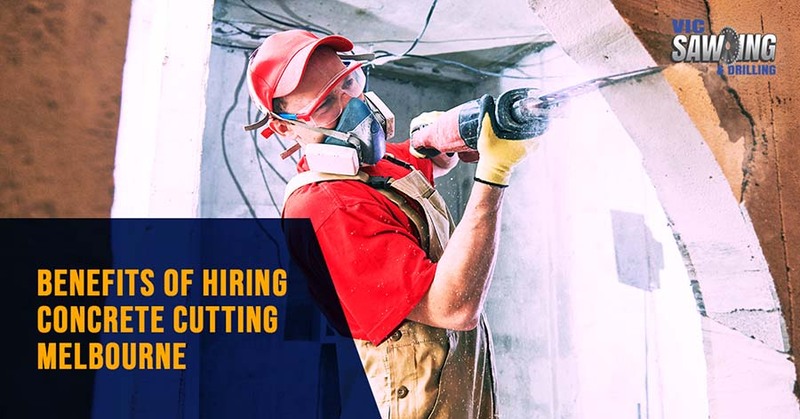 Any construction company who is planning to hire the services of a concrete cutting company will want to make sure that the cutters specialize in wall sawing. This is mostly needed when concrete walls have to be cut down to make openings for doors and windows. Sometimes the thickness of the walls can be up to 24 inches but that is not a problem for concrete cutters. They have concrete sawing machines that have inbuilt water pumps so that when the saw cuts through the walls, they do not produce too much dust. Many construction companies also have requirements for a particular shape of cutting on the wall, so experienced companies can also cater for this. The concrete cutting company should have saws that can cut through very thick walls and maintain the desired shape at the same time. The blades are almost 30 inches in diameter; so, you can understand how big the machines are and the level of expertise that is required to operate these machines. If you thought a jackhammer would do the same job, then you are mistaken. A chisel and hammer may also do the job but the time it will take is enormous. Moreover, you will never be able to get the right shape of the windows or doors if not for the wall sawing machines. Apart from cutting down walls, you will also find a concrete cutting company in Melbourne can cut through horizontal or flat concrete surfaces. Projects where pavements, bridge decks, and floors have to be cut often require slab sawing techniques. Experts from concrete cutting companies are familiar with this kind of sawing. A walk-behind machine is topped with a diamond blade that cuts through the surface. These blades have the capacity to cut almost 33 inches deep into the surface also without emitting a huge amount of dust. Whenever there is a problem with the internal wiring of a house or office or the sewer line has broken down or there is a broken water pipe somewhere, slab sawing would be required urgently. Since they have the capacity to go deep down inside the floor, you can expect to see results quicker. These saws are also used when old and outdated buildings have to be demolished. A combination of slab sawing and wall sawing would make the demolition work easy for many. There have been cases when homeowners hired the services of a concrete cutting Melbourne company because they had to remove an unwanted patio from their backyard or cut through a concrete slab to allow for landscaping. It would be an utter waste of time if you try to do this on your own. Professional help is always advised when it comes to concrete cutting. It would seem to be slightly expensive for small house projects but the quality of work will be worth the money you spend. Whatever the project may be, do not even think of cutting concrete on your own. Concrete can often be an obstacle to building something beautiful. That is the time when you will need the service of these experts the most.